A couple of years ago I first discovered SideDoor in Corona del Mar and loved it. I loved it so much in fact, that the Englishman and I had our engagement photos taken there (thank you Dana Grant Photography!). The restaurant recently started a Sunday brunch featuring live music and artist exhibits called SideDoor Sunday Sessions. I was invited to come experience one of the Sunday Sessions and couldn’t wait to visit one of my favorite spots once again. The SideDoor Sunday Sessions run from 11am-3pm every Sunday with the artists changing weekly. Photographer Juan Luis Garcia was at the session I attended, and he was showing a bunch of images from his Face Value: Mirror Portraits gallery, which features photos of people looking at themselves through a two-way mirror. The images were definitely interesting and you can even sign up to participate. In addition to the artists changing weekly, the menu changes weekly as well. I love the fact that the menu is constantly evolving – it means there’s always something new to try when you visit SideDoor! Since this was my first Sunday Session I wanted to try as many of the dishes as possible. Luckily, I had the Englishman and my parents along to help as well. No brunch is complete without some beverages, so we started with some mimosas and a Pimms Cup, aka my current drink obsession.SideDoor’s take on a Pimm’s Cup includes Pimms, Champagne and fresh fruit. It is dangerously good and highly recommended. 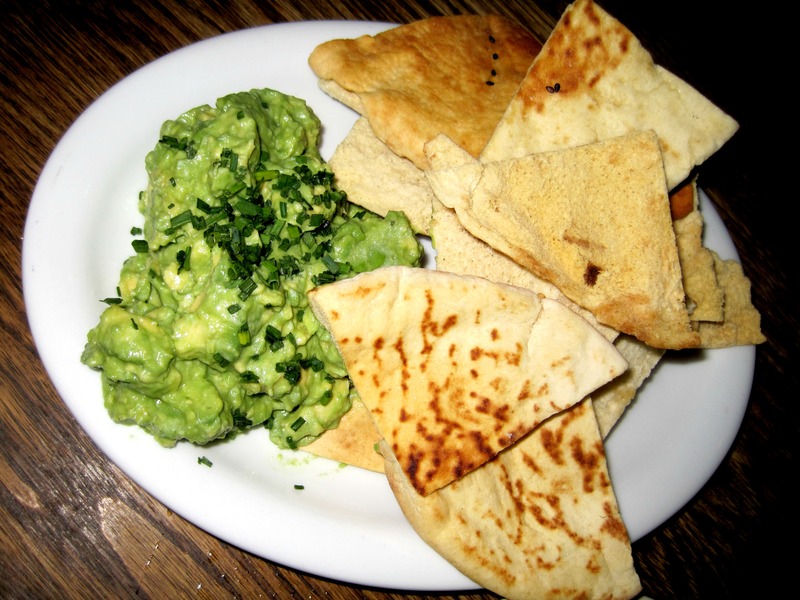 We decided to start the meal with some Avocado Mash and some pita chips. As an avocado lover, this was delicious! 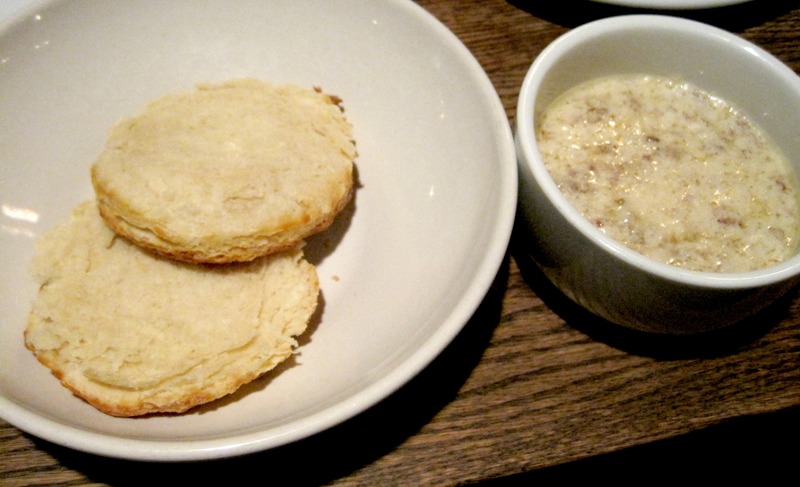 I even used some of the mash on the Biscuits with a side of Gravy that we ordered. I deliberately got the gravy on the side so I could dip the biscuit in the gravy or top it with the avocado mash. The biscuits were light and buttery and pretty much carb heaven. Ever since watching It’s Complicated (for the millionth time) a few weeks ago I’ve had Croque Madames on the brain, so when I saw that SideDoor had one for brunch, I knew it was meant to be. 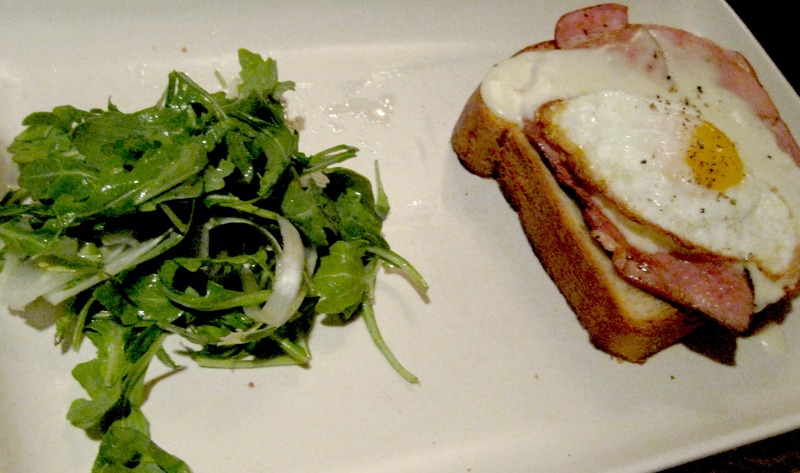 The open-faced Croque Madame came on lightly toasted brioche bread with ham, cheese and a poached egg. It was pretty much perfection. 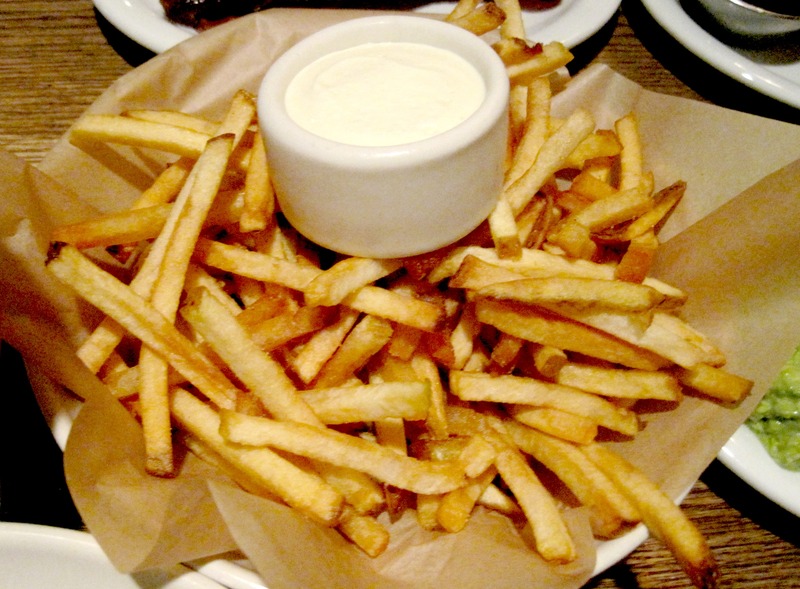 If SideDoor kept this on their menu every week I would be a very happy camper. 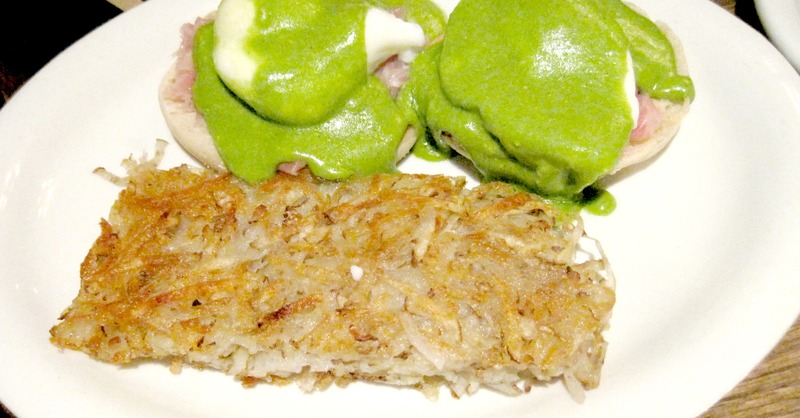 We also ordered the Green Eggs and Ham Benedict which was a playful spin on your traditional Eggs Benedict Dish. The eggs were cooked perfectly, the sauce was flavorful and I loved the crispy hash browns on the side. Since everyone loves bacon, we ordered a side of that as well. 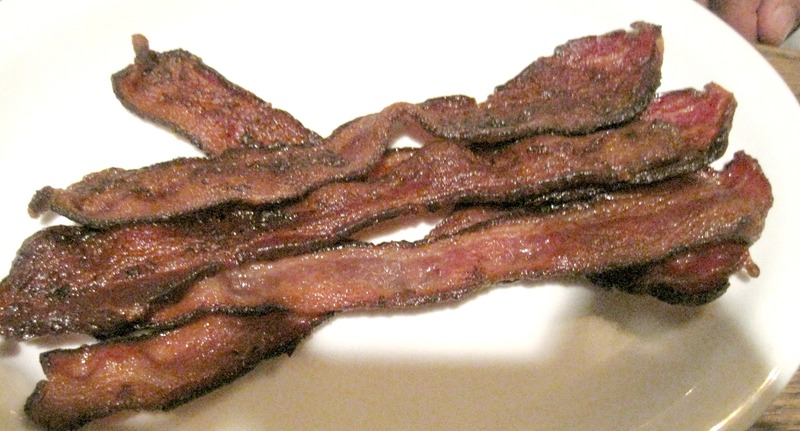 Bacon = winning in life. 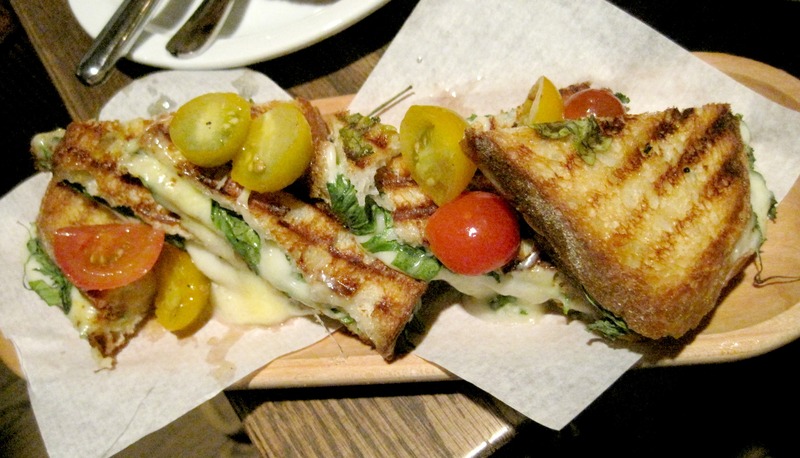 We also tried the Three Cheese Panino which came with mozzarella, cheddar, parmigiano and arugula. The panino was good but nothing mind-blowing compared to the other fantastic items we enjoyed. Not sure if I would order this again since there are so many other amazing dishes (see croque madame), but it was still tasty. 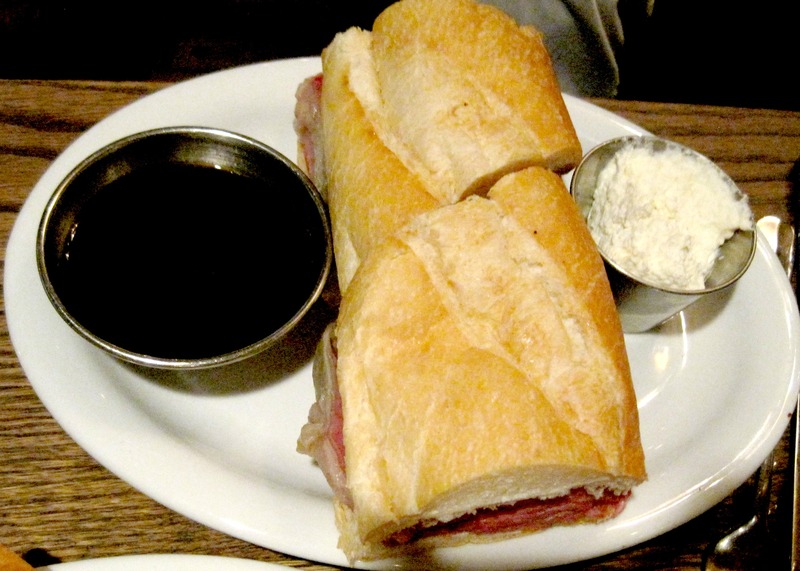 Since SideDoor is connected to Five Crowns, which is known for their famous prime rib, it was pretty much a given to order the prime rib sandwich. I’m not always the biggest fan of prime rib, but the meat was so succulent and juicy. It literally melted in your mouth. And what’s a prime rib sandwich without a side of fries? With all the savory and salty flavors going on, it only seemed appropriate that we ordered something sweet to round out the meal. 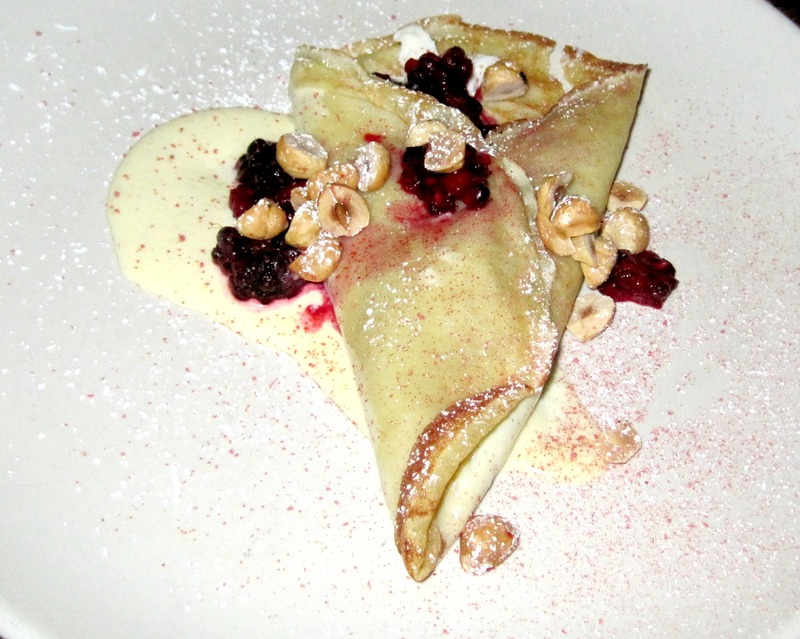 A lemon crepe with berries and hazelnuts to be exact. This crepe was sweet but not overly sweet which I loved. The lemon cream on the inside was a delight. I loved everything about this brunch – the ambiance, the food, and of course the company. I’m already plotting my next return – who’s in? This entry was posted in Best Of, Breakfast, Good Eats, Orange County and tagged corona del mar brunch, OC brunch, sidedoor corona del mar, sidedoor sunday sessions on June 5, 2013 by allie@sweetpotatobites.